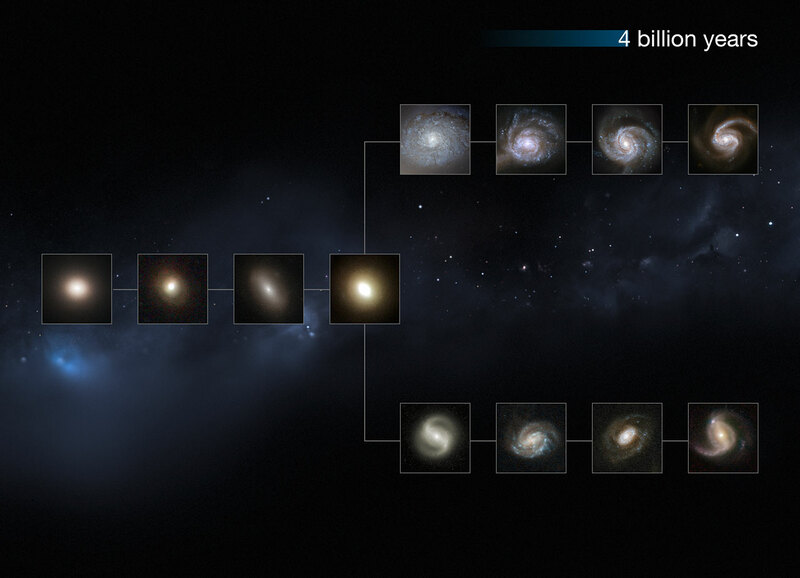 While it was known that the Hubble Sequence holds true as far back as around 8 billion years ago , these new observations push a further 2.5 billion years back in cosmic time, covering a huge 80% of the past history of the Universe. Previous studies had also reached into this epoch of the cosmos to study lower-mass galaxies, but none had conclusively also looked at large, mature galaxies like the Milky Way. 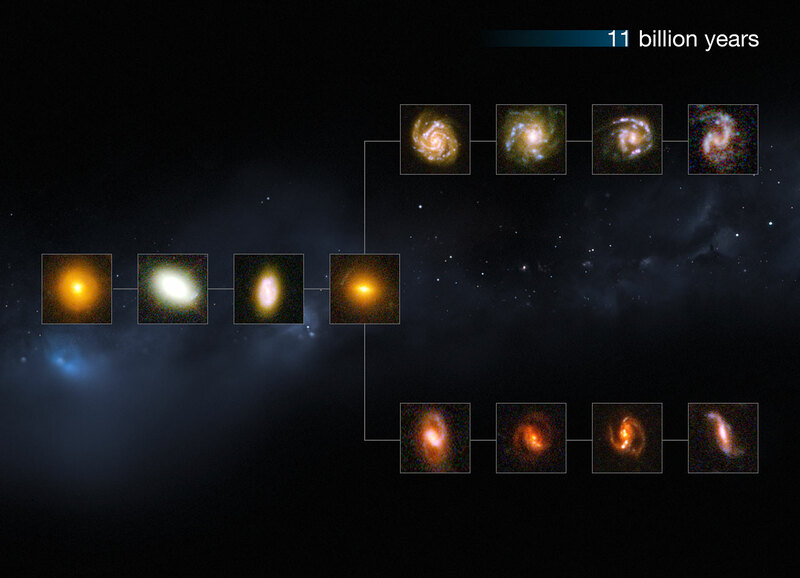 The new CANDELS observations confirm that all galaxies this far back — big and small alike — fit into the different classifications of the sequence. The galaxies at these earlier times appear to be split between blue star-forming galaxies with a complex structure — including discs, bulges, and messy clumps — and massive red galaxies that are no longer forming stars, as seen in the nearby Universe . 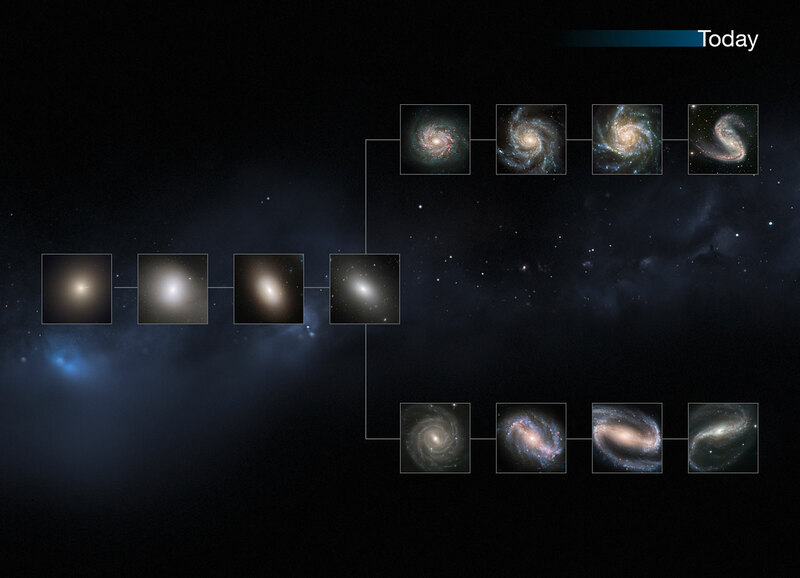 "The huge CANDELS dataset was a great resource for us to use in order to consistently study ancient galaxies in the early Universe," concludes Lee. "And the resolution and sensitivity of Hubble's WFC3 is second to none in the infrared wavelengths needed to carry out this study. 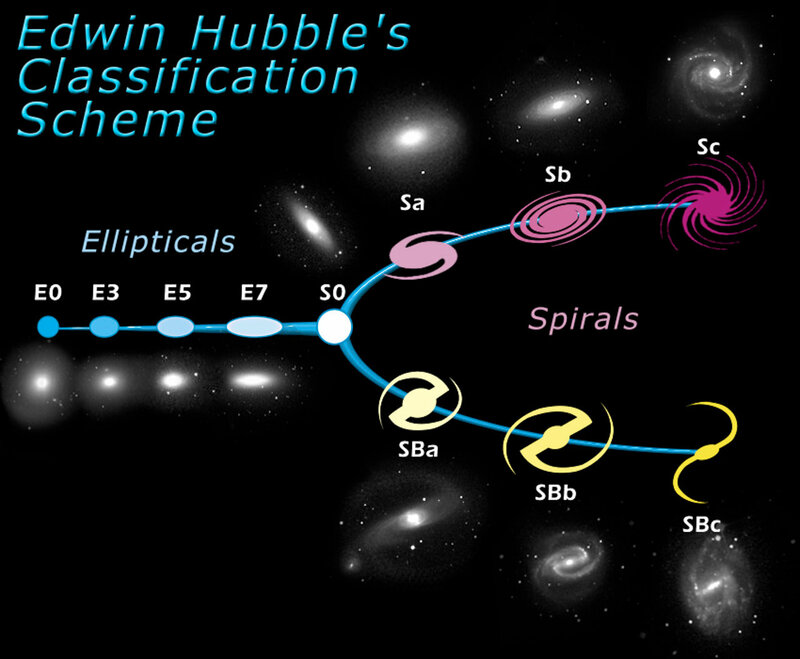 The Hubble Sequence underpins a lot of what we know about how galaxies form and evolve — finding it to be in place this far back is a significant discovery."